Ideas on how to deal with gun violence in schools are appearing in legislatures throughout the 50 states in the wake of the mass shooting in Parkland, Fla. Taking the lead is Florida, where on Tuesday a proposal to raise the age to buy a gun to 21 - and to arm teachers – but not an assault weapons ban – got preliminary consideration in the state House. Additionally, in the wake of Georgia gubernatorial candidate Casey Cagle criticizing Delta Air Lines for cutting its benefits program for NRA members, New York and Virginia have reached out to the airline publicly inviting Delta to move its headquarters to their states. Gun control issues also remain an issue in the competitive House and Senate races that could determine which party controls Congress next year. FLORIDA: The Committee to Defend the President, which was originally established as the Stop Hillary PAC, sent out an email to supporters asking them to sign a petition calling on Broward County Sheriff Scott Israel to resign. In the Florida legislature, the “Marjory Stoneman Douglas High School Public Safety Act” is on the Senate Appropriations Committee agenda. In addition to calling for more money for school safety, it would also change the age limit for purchasing a firearm and ban bump stocks. But based on Monday’s Senate vote against banning assault weapons and bump stocks, the bill's fate is uncertain at best. Text of the bill here. Meanwhile, the powerful Florida House Appropriations Committee on Tuesday approved a sweeping proposal to tighten gun controls in response to the Feb. 14 mass shooting at Marjory Stoneman Douglas High School, but it did not approve an amendment to ban assault weapons. The legislation did include a provision to raise the age to purchase a gun to 21. Democratic candidate for governor and former Rep. Gwen Graham is calling out Republican Rep. Ron DeSantis for being one of the only candidates running for governor not pushing any gun safety policy. And she’s right, he’s been very mum since the shooting. From the release below: "Ron DeSantis is the only candidate running to lead our state who refuses to support any sort of gun safety," Graham said. "If the Congressman can't endorse his own Republican governor's proposals after Parkland, he will never support common sense gun safety laws in our state — no matter how many children are killed." Meanwhile, Adam Putnam, the leading Republican candidate for governor, called for policies similar to what Scott is advocating: limiting gun rights for persons with mental health issues and making school grounds safer. However, he did not say he regrets branding himself as an “NRA sellout” last year. More on his comments at a campaign rally here: (via the Daytona Beach Journal). Politico is out with an article highlighting Scott’s major change of direction between himself, President Donald Trump and the NRA when it comes to gun policy. It highlights how he is at odds with Trump over arming teachers and asks if this change means Scott is preparing himself for a U.S. Senate run against Democratic incumbent Bill Nelson. ILLINOIS: The state legislature could consider a series of proposals on Wednesday on gun control laws ranging a requirement for gun dealers to be licensed to banning “military-style” assault weapons high-capacity magazines and bump stocks, the Chicago Tribune reported. INDIANA: Indiana is one of five states with a “red flag” statute that allows police to temporarily take guns away from people a judge deems to be “an imminent risk of personal injury” to themselves or others. Sen. Joe Donnelly, D-Ind., arrives at the Capitol for a vote, Nov. 7, 2017. 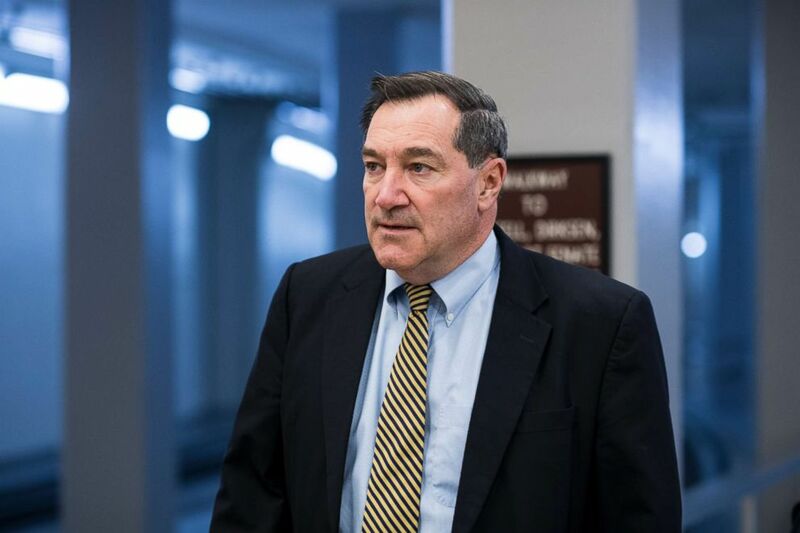 In the Indiana Senate race, Democratic Sen. Joe Donnelly supported the Manchin-Toomey Bill, "No Fly, No Buy," and the Cornyn-Murphy "NICS Fix" bill, according to a source in his campaign. (NICS stands for the National Instant Criminal Background Check System and the "fix" calls for improved state reporting to the database.) Donnelly is one of the few Democrats (along with Tester, Heitkamp, and Manchin) who have A- or higher ratings from the NRA. NEW JERSEY: Linda Weber led a roundtable on guns Tuesday where she mostly let students and teachers talk. Weber: “We have a gun murder rate in our country that’s 25 times that in the rest of the first world. We’re not first in a lot of other things, but we’re first in gun deaths. New York Governor Andrew Cuomo speaks at a healthcare union rally at the Theater at Madison Square Garden, Feb. 21, 2018, in New York. NEW YORK: Gov. 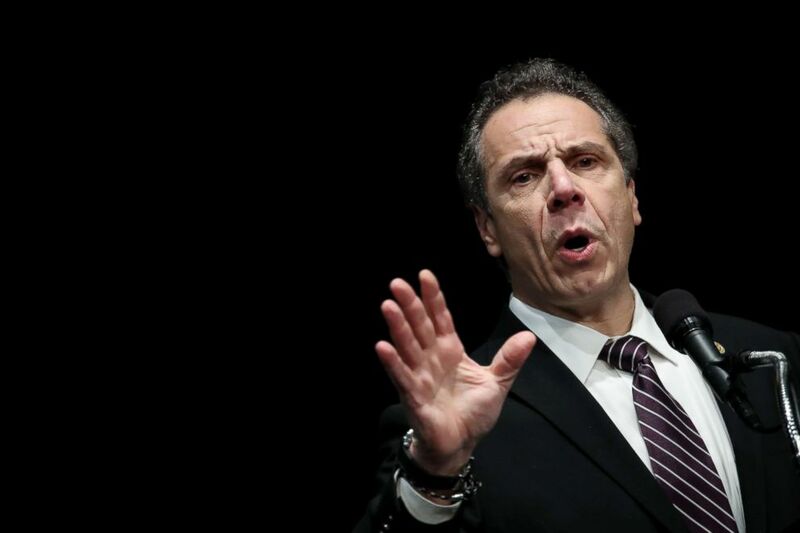 Andrew Cuomo released the following statement inviting Delta Air Lines to move their corporate headquarters to New York: "Now more than ever the NRA is showing just how out of step they are with the American people. Delta is sending a clear signal that it opposes the NRA's dangerous agenda, which is putting our children and our families at risk. While Georgia politicians may disagree with the airline's principled stand, we here in the Empire State welcome Delta with open arms, and invite them to move their headquarters here." RHODE ISLAND: The state is poised to become the first since the Florida school shooting massacre to establish a new policy allowing relatives or police to ask judges to temporarily strip gun rights from people who show warning signs of violence, the Associated Press reported. Democratic Gov. Gina Raimondo signed an executive order Monday establishing the "red flag" policy. California, Connecticut, Indiana, Oregon and Washington already have red flag laws. More than a dozen other states are considering similar bills. SOUTH CAROLINA: State Rep. Steven Long announced Monday that he is hosting a drawing to give away guns to teachers and show support for pro-Second Amendment legislation in the state House. He will be giving away three handguns: one to a K-12 teacher, school staff member, or school administrator; one to a higher education (college/university) faculty, staff member, or administrator; and one to what he calls any freedom-loving patriot who wishes to participate in the drawing. And gubernatorial candidate Catherine Templeton called for arming teachers (Greenville News). WASHINGTON STATE: Gov. Jay Inslee stood up to President Trump on the issue of arming teachers, saying teachers in his state don’t want to become “pistol-packing” educators - but in at least one school district in Washington state, staffers have been packing heat since 2014. The Toppenish School District on the Yakima Reservation has been training school administrators to carry concealed firearms on campus for nearly four years, though the district superintendent, John Cerna, is the only one who carries his gun openly, KIRO-TV reported. The program started after the shooting at Sandy Hook elementary that killed 26 people, mostly children. Additionally, a local GOP state senator is working on a bill to arm teachers in Washington state schools, according to KIRO-TV. And a bill was filed last week that would raise the minimum age to purchase a semiautomatic rifle or shotgun with “tactical features” to 21. ABC News' Christopher Donato, MaryAlice Parks, Esther Castillejo, Michael DeMoro, Lissette Rodriguez, Agnew Maile, and Alisa Wiersema contributed to this report.